The Research Group on Eastern Europe, Russia and Eurasia (Res/East), within the DIRPOLIS Institute, aspires to gather researchers dealing with the complexity of the so-called “post-Soviet area”. The group was set up upon the initiative of Serena Giusti, Francesco Strazzari, Alessandra Russo and Carolina de Stefano. Res-East focusses on a vast and composite area that requires inter-disciplinary approaches. The Research Group seeks to contaminate different sub-fields of social sciences, while maintaining its core interest in politics. Members and affiliates of Res/East share, circulate and disseminate their research findings, discuss issues of common interest and propose policy recommendations. The Research Group promotes three main activities: 1. the administration of a repository for members’ publications, manuscripts and research notes; 2. the organisation of events such as conferences, seminars, workshops; 3. the support to joint research projects, multi-authored proposals, applications and grant writing 4: a regular interaction with policy-makers and the production of policy oriented analyses. Call for Papers: Overlapping Easts: from shared Neighbourhoods to Globalised Borderlands and Rethinking Revolution: 1917-2017. 15 November 2017, 11.00-13.00 (Aula 3), Maksymilian Czuperski, Director of the Digital Forensic Research Lab & Special Advisor to the President of the Atlantic Council, will give a talk on “Elections in a Digital Engagement Age, How to Build Digital Resilience - Russian disinformation, fake news, and elections in the area of digital engagement”. Kamran Ismayilov presented a paper, the “EU and Russia in the contested South Caucasus”, at the conference “A divided continent in search of a common language?”, jointly organised by University of Tartu, University College London, Konrad Adenauer, and Platform Ukraine, Tartu, Estonia. (7-8 April 2017). Luigi Cino and Kamran Ismayilov are to attend the European Neighbourhood Policy PhD Summer School, “In Search of Resilience in the EU and its Neighbourhoods: Reconciling Democracy and Security?” at the College of Europe’s Natolin, Warsaw, (http://www.enpsummerschool.eu/). Carolina de Stefano, guest lecturer on ‘Yeltsin’s Russia, 1989 – 1991: Fears Of Disintegration Amidst The Challenge For Survival’ at the Institute Of Russian, Eurasian and European Studies (IERES), Elliott School Of International Affairs, George Washington University (27 February 2017). Carolina de Stefano, guest lecturer on ‘Is Russia a Rule of Law State?’, Institute of International Relations, University of Warsaw (19 April 2017). Carolina de Stefano co-chaired with Professor Aleksej Barabashev the working group ‘Regional Development and Inter-regional Cooperation’ and presented the paper ‘Moscow-regions relations in 1989-1993: the origin of Post-Soviet ‘inertial’federal policies?’ at the 17th NISPA Conference, Kazan’ Federal University, Russia (18-20 May 2017). Carolina de Stefano presented the paper ‘Russia’s birth and survival: revolutionary legacies and federal negotiations 1989-1991’ at the Second Annual Tartu Conference on Russian and East European Studies, University of Tartu, Estonia (4-6 June 2017). An agreement between Scuola Sant’Anna and the Jagiellonian University of Cracow has been reached within the Erasmus Plus Programme allowing mobility for both students and staff, starting from January 2016. 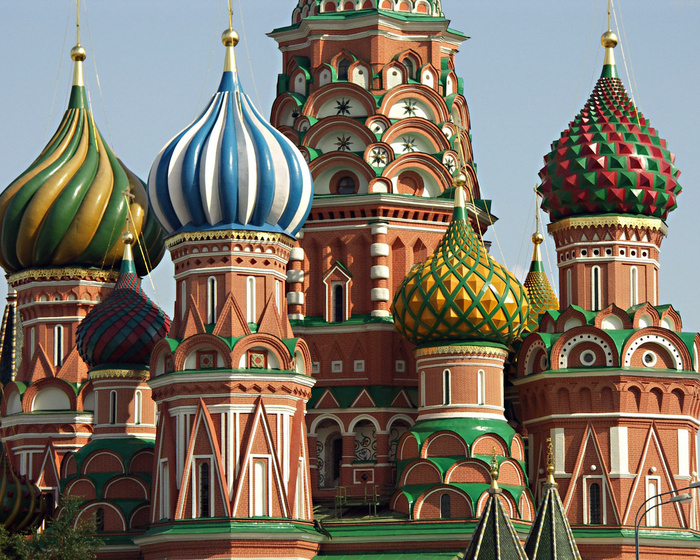 London, SSEES UCL, “Transnationalism(s): Contexts, Patterns and Connections in Central and Eastern Europe and the Former Soviet Union”, 20-21 February 2016. The evolution of foreign policy in the post-Soviet space, Workshop, LSE IDEAS, London School of Economics and Political Science, 25 February 2016. First Annual Tartu Conference on Russian and East European Studies “Europe under Stress: The End of a Common Dream?”, Tartu12-14 June 2016, https://sisu.ut.ee/tartuconference/avaleht. On February 3, 2016 a brainstorming meeting of the Working Group will take place at Sant’Anna School of Advanced Studies, 10.00 (Aula 3), everyone is welcome…with a head full of ideas! Please Save the date: On February 18, 2016 a Workshop titled “Beyond Europe: Threats, Challenges, Opportunities” will take place at Sant’Anna School of Advanced Studies, 9.00- 18.00 (Aula 3), further information will follow. In the occasion of the opening of Palazzo Vernagalli, February 1, 2016 16.00 (http://www.santannapisa.it/en/event/inaugurazione-di-palazzo-vernagalli-nuova-sede-dellistituto-dirpolis) a theatre performance dedicated to the Russian journalist Anna Politkovskaja will take place. Carolina de Stefano and Serena Giusti’s paper proposal “Forging policies towards Russia: is the Carnegie Moscow Center an effective prototype?” has been accepted for the International Conference The Role of Think Tanks and Technical Experts in Foreign and Security Policy, jointly organized by IAI, LSE LUISS and Université de Nice Sophia Antipolis. The conference will take place at LUISS on April 22, 2016. Call for Papers: "Statehood and Its Discontents: Russia, Eastern Europe and Eurasia" (Joint Miami University Havighurst Center for Russian and Post-Soviet Studies and Vilnius University Institute of International Relations and Political Science Conference). Details: June 15-17, 2016 , Vilnius, Lithuania. Deadline for paper proposal submissions is February 1st. Please send a 250 word abstract and one page CV to Neringa Klumbytė klumbyn@miamioh.edu and Inga Vinogradnaitė Inga.Vinogradnaite@tspmi.vu.lt with the subject line STATEHOOD CONFERENCE ABSTRACT 2016. Serena Giusti’s article “The EU’s transformative power challenged in Ukraine” will appear on the next volume (21, issue 2, 2016) of the European Foreign Affairs Review. On March 7th the University of Milan will host an international conference titled "The European Union and the Eurasian Economic Union: moving towards cooperation" (http://users2.unimi.it/dirpubesteuropa/wp-content/uploads/locandina-conference-di-gregorio-7-marzo.pdf). "Strengthening Russia's European Foundations": a conference in commemoration of Boris Nemtsov has been organised in Brussels. Live webcast of the event is available following this link: https://alde.livecasts.eu/strengthening-russias-european-foundations. May 11, 2016, AULA 7, 16.30: Seminar by Professor Leslie Holmes, University of Melbourne, on “Corruption in Russia and CEE: the case of the police”. Serena Giusti, on behalf of Res/East, has been invited to join the OSCE European Security Network Reflection Group on Russia that will elaborate a Report on Narratives on Russia across Europe, the next meeting will be held in Genève, (May 26-27, 2016). Alessandra Russo, guest lecturer on “Regional Security in Comparative Perspective: Central Asia and Middle East”, Università L’Orientale, Napoli (May 2016). Carolina de Stefano, guest lecturer at the seminar “Russian identity at the crossroads: towards the past or back to the future? jointly organised by the Master program MIREES and the OPI-Osservatorio di Politica Internazionale', University of Bologna, Faculty of Political Science, Forli' Campus, (April 27, 2016). Carolina de Stefano and Serena Giusti presented the paper, “Forging policies towards Russia: is the Carnegie Moscow Center an effective prototype?” at the Conference The Role of Think Tanks and Technical Experts in Foreign and Security Policy, jointly organized by IAI, LSE LUISS and Université de Nice Sophia Antipolis, LUISS, Rome, (April 22, 2016). Alessandra Russo, co-convenor of the workshop “Decentred Practices of Regionality: How the Practical Turn in IR and Critical Border Studies Contribute to Theorising Regionalism”, presented a paper co-authored with Luca Raineri, titled "Buffer areas as spaces of connections and identification: the centrality of regional borderlands in the Sahara and the Caucasus", European International Studies Association, Tübingen (April 2016). Alessandra Russo presented a paper co-authored with Edward Stoddard titled "Bolstering non-democracies? Regional cooperation, ontological security and authoritarian legitimacy in Eurasia", University of Oxford, Department of Politics and International Relations (March 2016). Wednesday 25, 2019, 19.00 – Aula Magna, Scuola Sant’Anna. The Cineforum Humanities on Screen for its forth projection presents Tangerines, an Estonian Georgian movie by the director Zaza Urushadze. The movie will be presented by Marco Caputo, former Sant’Anna student. The Research Group on Eastern Europe, Russia and Eurasia (Res/East) with the support of the Jean Monnet Module “The EU’s responses to the challenges of its Neighbourhood” has organised a seminar on September 26, 14.30 Aula 3 on the Duma elections 2016 results “Russian Duma elections…No News…What is New?”. Researchers from the Sant’Anna School of Advanced Studies and University of Pisa will confront the topic from both a domestic and international perspective. Generative Collective Memory in the Crisis of Historical Consciousness. Gennaio - Marzo 2017: "Quelli della notte". Elezioni francesi 2017: prospettive e sfide di un voto europeo.